The other day a friend of mine came over and among other thing she asked me about some advice on what type of eye makeup she should use to emphasize her gorgeous big blue eyes. That inspired me to write about it a bit. Let’s start with a bit of theory, color theory to be precise. The color wheel that we learned to know since elementary school is composed by 3 primary colors: red, blue and yellow, and their combinations that make secondary (green, purple and orange) and tertiary (all the combinations of the above) colors. When we’re up to decide what color to pair to another one which is given (the eye color in this case), we can either choose harmony or contrast. Harmony is pretty straightforward and we can achieve it with a makeup of similar tones as our eyes. Contrast is when we can have more fun and where our color wheel comes to play: we choose a color that lies opposite to our eye color on the color wheel. Confused? It will get easier with concrete examples. 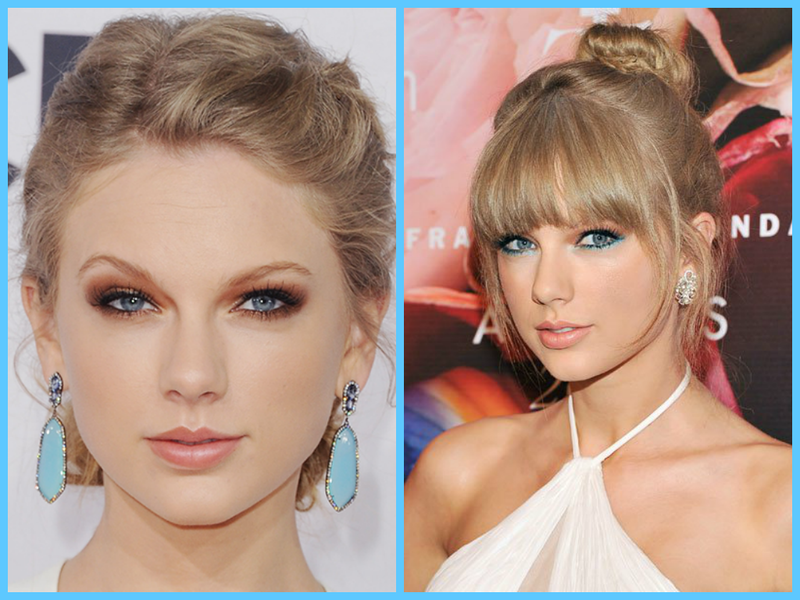 Taylor Swift with copper (left) and blue (right) tones to make her blue eyes stand out. 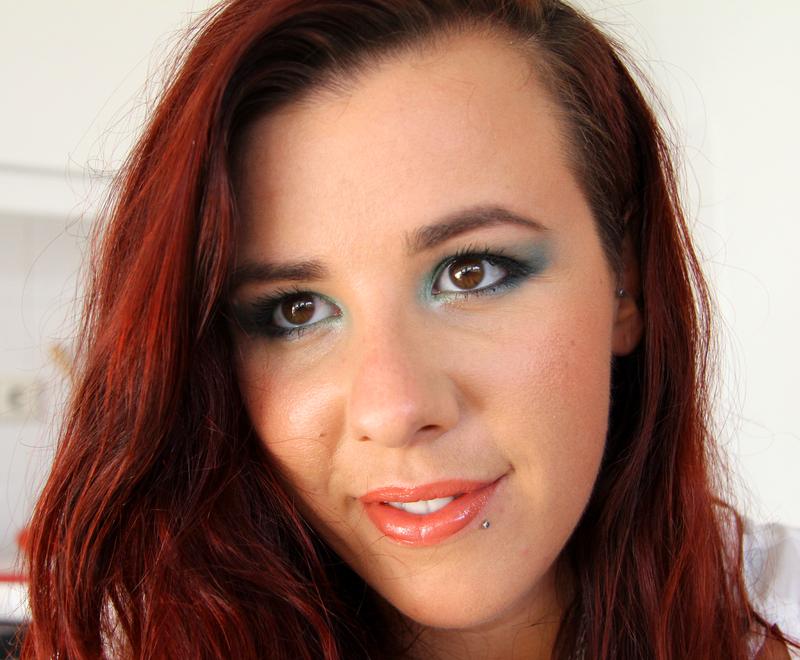 Also note that you don’t have to wear a full colored eye look, but just using a liner will give you the wanted effect. To start with my friend’s request, she has big light blue eyes. To have a harmonic look we should go for a blue eyeshadow, or, if that is not your cup of tea, cool tones of liliac and purple. To make the eyes really stand out however we have to go opposite with warm tones of orange and yellow, also interpretable with gold and copper tones. These will really enhance the color of the eyes and be the most effective makeup. Similar is the point for green eyes, where we’d want to go with purples or reds to contrast the natural color or greens and lime to instead intensify the present color. Last but not least, brown eyed beauties are the luckiest of all. 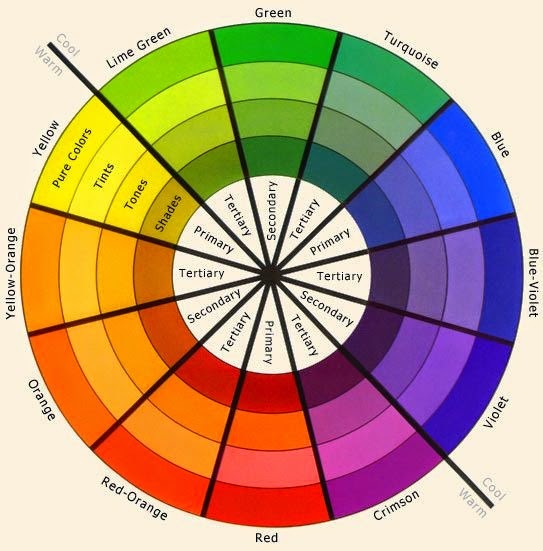 As you can see, you cannot find brown on the color wheel because it is a mix of different dark tones. This also means we can play more with colors. A note has to go to the fact that in general if you have light brown eyes, you can make them look more caramel/hazelnut colored with darker smokey looks, while dark brow eyes are a real jolly when it comes to color pairings. As a personal note, I love to wear colored makeup and work more with complementing my red hair with green and burgundy because my brown eyes don’t call for any specific pairing. And of course, neutral colors are perfect for anyone, independently from your eye color, but rather keep in mind your skin’s undertone in that case. Did you know about these guidelines? Do you use them when you pick your makeup?